Mount Everest, (8,848m) the highest mountain on Earth, exerts a magnetic pull on trekkers, mountaineers and armchair adventurers alike. The main trekking trails here can be busy and even commercialised, but for sheer awe nothing comes close to the trails threading through the Khumbu, the area around Everest. Although the focus on these treks is naturally on Everest, surrounding giants – Lhotse (8,501m), Nuptse (7,861m), Lobouche West (6,145m) and others – are often more beautiful and more inspiring. The Everest region has long been the most popular trekking region in Nepal. The trails are well-developed, the trekking lodges excellent (there are a growing number of genuinely luxurious places to stay), the variety of food impressive and the organisation and information as good as it gets. With no complicated permits required and, unless you attempt to do something really offbeat, no need for any form of camping equipment, this is independent trekking at its best. However, most trails take you up high (well above 5,000m) and the risk of acute mountain sickness (AMS) on many routes is high. Therefore don’t hurry on any of these routes, build in plenty of rest days, and take the time to enjoy this outstanding place. 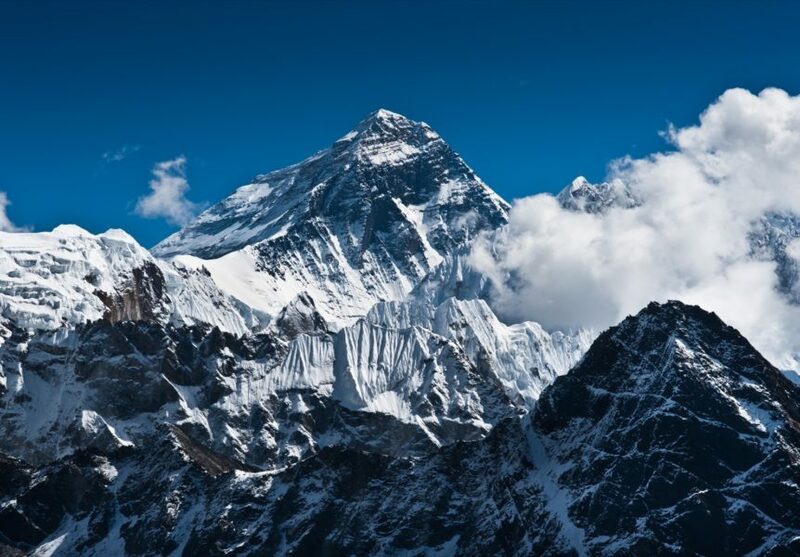 Known in Tibetan as Qomolangma, or “Mother Earth”, Everest, which was first summited in 1953 by Sherpa Tenzing Norgay and Edmund Hillary, asserts its dominance over all other peaks in the Khumbu region. Even when you can’t see it you can almost feel its presence. A trek to Everest Basecamp is as much a pilgrimage as a straightforward trek. Trekking in the Everest region involves crossing some of the highest mountain passes open to “normal” trekkers anywhere in the world. Clambering slowly upwards, your breathing will be laboured and the cold will sting the back of your throat. But when you reach the top the reward will likely be a grandstand view over a rock and ice wilderness. For the ultimate Everest challenge try the daunting Three Passes trek which links the finest parts of the standard Everest treks and crosses three 5,000m passes in the process. From Basecamp the views of Everest are not all that great, but from the top of nearby Kala Pattar (5,545m) you can see one of the planet’s finest mountain vistas and the single best view of Everest from Nepal. And wait till you stand atop Gokyo Ri (5,360m). The turquoise lakes, glaciers and the panorama of peaks will make you gasp. After Gokyo Ri it’s well worth making a day walk to the Scoundrels Viewpoint for more breathtaking views. Any trek in this region is a challenge. Most are long, high and cold. The only one that isn’t, Shivalaya to Lukla, is challenging simply because it takes you well off the standard trails into a more traditional Nepal where you won’t have some of the comforts you get on the main trails. If you really want a challenge then there can only be the spectacular Three Passes trek, or the Makalu to Everest route. The Khumbu is the home of the Sherpas, Nepal’s best known ethnic group, and one of the joys of trekking here is the chance to get to know something of their lives. Visit the gompas (Tibetan temples) and monasteries (Tengboche is the best-known), time your trek so you can drop in on one of the colourful Sherpa festivals such as Gyalpo Losar (Tibetan New year, late February to early March) or Mani Rimdu (October to November) both of which have fabulous masked dances, or simply walk through traditional stone villages on the quiet Jiri, or Shivalaya to Lukla trek. Some of the most exciting days on these treks are the side trips off the main trails. Around the Namche Bazaar area there are warm-up treks to several attractive villages such as Khunde and Khumjung. On the Everest Basecamp trek, build in a couple of extra days to explore the Imja valley and viewpoints of Chhukung. After you’ve marvelled at the view from Gokyo Ri on the Gokyo trek, continue into the valley to the stunning lakes you were earlier looking down on. On the Three Passes, veer up the Bhote Kosi valley which lies along an ancient trade route to Tibet. Standing on the summit of the world's highest mountain might be beyond the capabilities (and finances) of most of us, but there are Himalayan peaks that mere mortals can attempt in the Khumbu area, known as Trekking Peaks. Note though that all these are serious endeavours that require time, preparation and the services of trained guides. The best-known, and “easiest” is Island Peak (6,189m), a couple of days off the Everest Basecamp trail. Other, more challenging climbs include Lobuche East (6,119m), Kongma Tse (5,820m) and the most demanding of the lot, Kusum Kangru (6,367m). Contact Kathmandu agencies in advance if you want to attempt one of these. This is probably the most popular trek in Nepal, and for good reason. Over two weeks you will hike through green foothills, past Buddhist monasteries, through stone walled, slate-roofed villages and right into the heart of the mountains to arrive among the moraines of Everest Basecamp. Facilities on on this trek are as good as anywhere in the Nepalese mountains. Most lodges have varied menus, heating, separate rooms, electricity, hot showers and even wi-fi. There are genuinely luxurious lodges available. On the flip side, you’ll never walk alone on this route. Tens of thousands of trekkers walk this trail each year and sometimes local culture can be overwhelmed by international trekking culture. If you value peace and quiet, avoid this trek. The standard route begins from the airstrip at Lukla and follows the valley of the Dudh Kosi up to Namche, the centre of trekking in the Everest region. All trekkers should pause here for a couple of nights to acclimatise. There are villages, monasteries and a museum to visit. From Namche the trail heads northeast for seven or eight days before reaching Everest Basecamp and the amazing viewpoint of Kala Pattar. On the way to that high point you’ll pass Tengboche with its important monastery, Pangboche gompa with what are said to be yeti relics, and bleak trekking villages. The scenery will become steadily grander. Basecamp, when you finally get there, is something of an anti-climax. You can’t see Everest from basecamp and with its masses of semi-permanent expedition tents the area resembles a festival site (indeed in April 2017 British DJ Paul Oakenfold played a live gig here!). Even so it’s an interesting place, especially in the April-May climbing season (in the October-November trekking season it’s mainly deserted). For most people the real reward of this trek is not basecamp but the nearby Kala Pattar viewpoint (5,545m) which at dawn, before the clouds tumble in, offers a view of Lhotse (8,501m), Nuptse (7,861m), the Khumbu Icefall and glaciers and, standing grand behind them all, Everest itself. Most people return back the way they came but it’s possible to follow parts of the Three Passes trek over to Gokyo. With scenery every bit as spectacular as that on the Everest Basecamp trek but with far fewer crowds, this trek, which leads to a series of high glacial blue lakes, is arguably one of the best in Nepal. Note that altitude problems can be an issue. Go slowly and allow as many extra rest days as you can. The trek follows the Everest Basecamp trail for the first couple of days to Sanasa, a half day walk beyond Namche Bazaar. From here, while the masses plod towards Everest, Gokyo trekkers skip up the Dudh Kosi valley. Forested at lower levels, the valley becomes increasingly forbidding as it passes herders’ camps and yak pastures and enters a realm of moraine and ice circled by looming peaks. After about eight days of hard walking you’ll arrive at the Sherpa village of Gokyo with its end-of-the-world feel. Allow for a couple of nights here to do some of the incredible day treks. The obligatory one is to the lofty viewpoint of Gokyo Ri (5,360m) which rewards with one of the definitive Himalayan vistas: A necklace of sapphire blue lakes shimmering at the foot of glacial tongues, against a backdrop of some of the highest mountains on the planet including Everest. With another day at Gokyo you can walk almost as far as your legs will carry you (and at this altitude that’s not normally very far) for a circuit around all the sacred lakes and a climb up to Scoundrel’s Viewpoint (5,000m) on the way. To return to warmer climes walk back the way you came, or with more time and strong legs, link up the Three Passes Trek. For those with stamina and time the formidable Three Passes trek is by far the most exciting, rewarding and challenging trek in the Khumbu region. In fact, for sheer mountain awe this is perhaps the single best trek in Nepal for independent trekkers reliant on lodges. Having said that, the nature of this trek makes it highly advisable to take a guide and porter as well as crampons, ice-axes, ropes and camping equipment because of the very real possibility of getting stuck out for the night due to bad weather. As the name suggests this trek crosses three passes, the Kongma La (5,535m), Cho La (5,420m) and the Renjo La (5,360m). Along the way you will be rewarded with the Gokyo lakes, Everest Basecamp, the Kala Pattar and Gyoko Ri viewpoints as well as the grand pass scenery. For reasons of acclimatisation most people do this trek from Dingboche via the Kongma La to Lobuche and on to Cho La and the Gokyo Lakes, before finishing with the crossing of the quiet Renjo La. It’s also possible to shorten this trek by dropping the Renjo La. Trek Duration: 18-20 days but this trek rewards those who allow extra days for side-trips and acclimatisation. A world apart from the main Everest region trekking routes, this route, following in the footsteps of the first climbers who headed to Everest, harks back to the days when the Nepalese hill country was almost road free and the early climbers had to walk from Kathmandu to whichever mountain they were intending to climb. It’s a wonderful way to reach (or leave) the Everest area and though it doesn’t offer the same kind of high altitude mountain scenery of the Khumbu it does offer peaceful walking with barely a single other foreign trekker around, beautiful rural vistas and mountain views, traditional village life (the Rai are the main ethnic group in these hills), gorgeous terraced fields and a sense of cultural interaction that’s rarely possible on the higher Everest trails. Other advantages of this trek are that you can bus to the trailhead from Kathmandu and aren’t reliant on flights to Lukla, and altitude related problems are rare. Don’t underestimate this trek though. There’s an exhausting amount of steep up and down into often searing hot valleys. The route can start from either Jiri or Shivalaya (knock one day off the trek time if starting from Shivalaya), and as road construction continues it’s possible that the trek can be reduced even further if you’re in a rush. While not bad, the lodges and food on this trek are far more basic than on the main Everest trails. A guide is a good idea. The most challenging and dangerous trek by far in the Everest region and perhaps all of Nepal, is the crossing from the Makalu trek (itself one of the harder treks) to the Everest region via the lung-busting Sherpani Col at 6,146m, West Col (6,143m) and Amphu Labsta (5,848m). The Alpine scenery is second to none but this is not a trek for the average person. It’s very remote, with many nights of camping above 5,000 or even 6,000m and no real escape routes. In places this is more mountaineering than trekking. You will require a lot of time (allow a month), plenty of high-altitude walking experience and the services of a very clued-up and experienced agency. Accommodation: Trekking lodges and camping. A fairly recently developed route and a great option for hardy trekkers looking for peace and quiet and a warm welcome in the villages. The trek begins from Shivalaya and climbs through near pristine old-growth forest rich in spring flowering rhododendron, to Khimti Khola and the sacred lakes of Jata Pokhari and Panch Pokhari. Beyond the lakes lies the Panch Pokhari pass (4,607m) and Gyajo La, the highest point of the trek at 4,880m. From both of these passes there are memorable mountain views, but you don’t venture to the base of any massive mountains. Wildlife is abundant – you could see red pandas, musk deer and masses of birds. As the name suggests this is a big yak cheese producing area, and along the way you can stop at artisanal cheese producers. Accommodation is split roughly 50-50 between very basic trekking lodges and homestays, and self-sufficient camping. Accommodation: Camping and basic trekking lodges. Not technically a trek but a mountain climbing expedition, Island Peak (6,189m; more accurately called Imja Tse) is one of Nepal’s official “trekking peaks”. It’s a relatively easy ascent compared to many other trekking peaks and its proximity to the main Everest trekking trails means it’s by far the most popular. This is no stroll in the park though. Ropes, crampons and ice-axes are all needed and there’s a short stretch that involves ice-climbing. The mountain is accessed from Chhukung, a short detour off the main Everest Base Camp trek. Many agencies in Kathmandu offer Island Peak expeditions which last about five to seven days including pre-ascent training. Many of these agencies can also build an Island Peak ascent into a longer Everest trek. Difficulty: Strenuous. Mountaineering skills required. All treks require a TIMS card, and all except Jiri/Shivalaya to Lukla, and Numbur Cheese Circuit, require a Sagarmatha National Park permit. The Jiri/Shivalaya to Lukla trek and Numbur Cheese Circuit both require a Gaurishankar Conservation Area Project permit. Makalu to Everest via the Three Passes trek requires a Sagarmatha National Park permit and a Makalu-Barun National Park permit. Trekking is best between October and April. Between late November and late February it’s very cold at high altitude and higher passes may be impassable, but plenty of people still trek at this time. Weather-wise October to early-November is the best time but the main trails get very busy, therefore December and late February through to March would offer the best chance of clear skies and fewer trekkers. Avoid trekking during the monsoon period of late-May to early September. The main trails here have numerous trekking lodges of a very high standard. Hot showers and wi-fi are common. There are also a number of genuine luxury hotels most of which are clustered around Namche and Lukla. Agencies in Kathmandu can organise luxury Everest treks. Most of the treks mentioned here start and end from Lukla and one of the biggest hurdles you might face is getting there. Most trekkers fly there in small prop planes from Kathmandu, but the flights are weather dependent and cancellations are common which can mean a backlog of people waiting to fly. It’s vitally important to allow an extra day or two at the end of your trek to cover flight delays. Flight cancellations are most common at the start and end of the trekking seasons when the weather is more unpredictable. 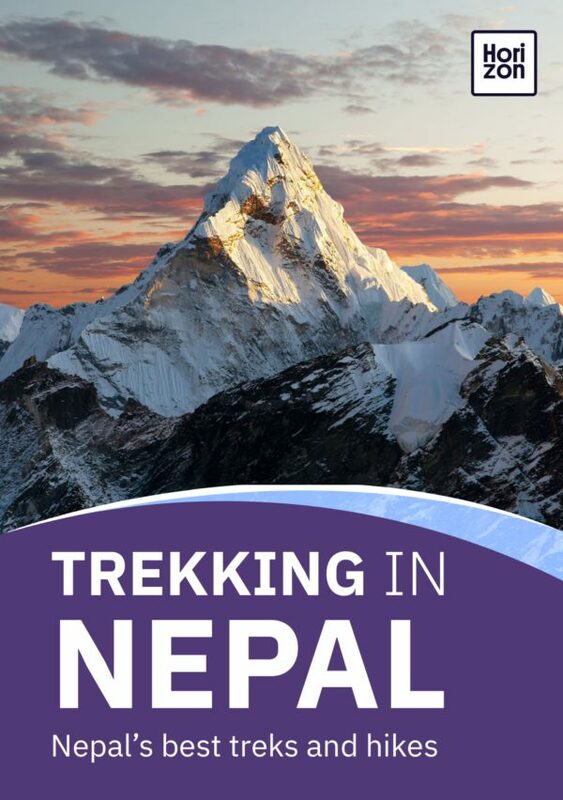 For these treks – Jiri/Shivalaya to Lukla; Numbur Cheese Circuit; and Makalu to Everest via the Three Passes – it’s possible to bus to the trail heads from Kathmandu (flights are also available to Tumlingtar at the start of the Makalu to Everest via the Three Passes trek).